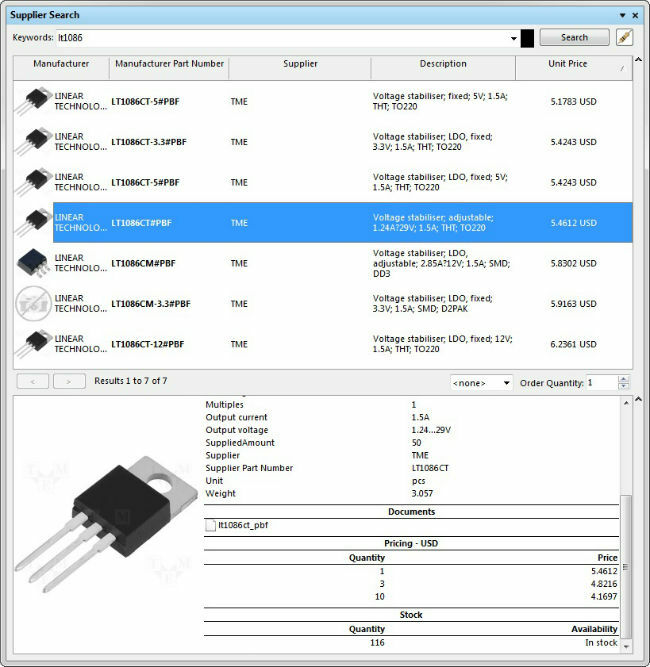 We are pleased to inform that TME has established cooperation with Altium Ltd., a manufacturer of Altium Designer software which allows to design electronics thanks to the access to electronic components suppliers’ database. It provides their users with direct access to the information concerning components offered by TME, their parameters, links to documents, current prices and inventories, already in the design environment. Necessary information concerning given components or product lines can be downloaded both from the library level, as well as during development or generation of ready project, which considerably facilitates the design process. To find out how to add TME to the suppliers’ database, we encourage you to read the manual available in English.